I attended SASA Journey on Saturday for the same reasons that most people do—a good friend of mine was performing, and I was aware of the show’s reputation for a good, raucous time. I had never seen the show before, so I can’t comment on its quality in comparison to past years, but I can say that I left the show this year with a goofy grin and without my voice. Among performances on campus, cultural shows have a unique feel to them. I can most closely describe it as nostalgia. Sitting in the audience, I felt joy that resonated so purely and simply that it felt like it was from childhood. Maybe this doesn’t make a lot of sense, but I think it has something to do with this: I’m not South Asian (I’m Korean) but I know that expressing my own Asian culture hasn’t exactly been rewarded in America. And as I’ve grown older, I’ve become more and more aware of this. But on Saturday night, I watched the members of SASA celebrate themselves and their culture in a way that seemed completely unrestrained by the fears I felt growing up. Even if this wasn’t the intent of the performers, I felt a vicarious catharsis watching them perform. One thing that makes the SASA show singular to me is its attitude. It seems particularly resistant to pandering to an audience which can only be coaxed into South Asian culture if every serious moment is doused with a heaping serving of self-deprecating humor and served on a plate of easily accessible references. There is a certain amount of fusion that naturally comes from representing a South Asian–American experience. 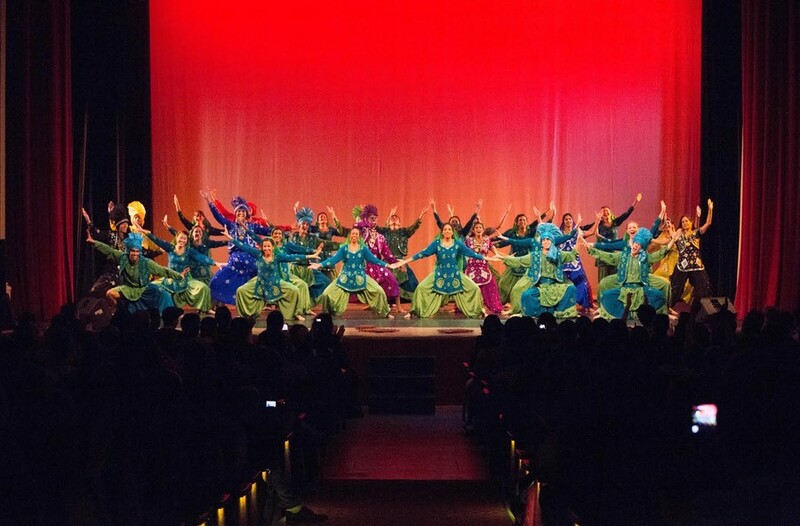 For example, Bhangra (directed by Benita Glamour, Shreya Kalva, and Maggy Liu) transitioned into its next set of dancers to the beat of Kanye, to the delight of the audience. But this was only a few seconds amidst a soundtrack of largely South Asian songs, and when Bhangra quickly returned to dancing with an athleticism that I could only envy, the audience was just as deafening. Even the seemingly less high-energy performances such as those of SASA Classical (directed by Swathi Krishnan and Mythili Vinnakota), were captivating. But credit for SASA Journey’s fearlessness must also go to scriptwriters Dave Thomas, Paras Mehta, Andrew Yang, Jyotsna Soundararajan, Meera Mody, and Sahiba Borisuth, as well as to their decision to place some nods toward more political issues in the show. The show chronicles the story of four University of Chicago students on a road trip through South Asia. Having the protagonists of SASA Journey introduce themselves with their pronouns at the beginning of the show may seem simple, but when included in a show representing the collective collaboration of over 200 performers, it makes a powerful statement. The same can be said for a brief, anecdotal reflection on the portrayal of Pakistan in American media in a later scene. These messages are incredibly strengthened by the collection of a community around them. The same can be said for SASA Journey itself—SASA is not just a show, it’s an interaction. It’s the interaction between the performers and how they cheer each other on with the same contagious energy they display during their own performances. An example: In the opening moments of the show, the protagonists introduced themselves. One of these protagonists is Raj Kumar, portrayed by Rishabh Agarwal. But beyond the performers, one of the most entertaining parts of the SASA show was the interaction with the audience and the way the show feeds off of the crowd’s energy. There is something to be said for a show that so vigorously celebrates its own kinship and sisterhood that, for a night, the audience members feel that they are part of it too. It’s not easy to do, but SASA pulled it off with a smile.